A luncheon will follow the service in the church hall. Burial will then take place at Ft. Custer National Cemetery.  When reflecting on the life of Juan Herrera Jr., it is easy to see his love for life each and every day. Although he accomplished so much of which to be proud, there was no greater joy in his life than the time he shared with his family and friends. A devoted family man, Juan was an active part of his children’s lives, inspiring them to pursue their own dreams and passions. He had an insatiable love for learning, and he was known for his strong work ethic. Life will never be the same without Juan here, but he leaves behind a priceless collection of memories that his loved ones will forever cherish. The year 1941 is often recalled as the year of the vicious attack on our naval base in Pearl Harbor. As a result, countless young servicemen and women answered the call to serve during WWII. Stateside, rationing became a reality while manufacturing was focused on supporting the war effort. 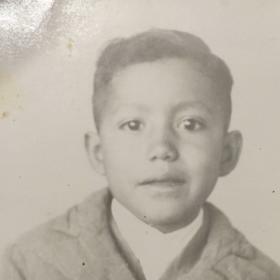 It was just after the historic bombing that Juan and Simona Herrera were pleased to announce the birth of the baby boy they named Juan Jr. on December 23, 1941, in Laredo, Texas. He was one of six as he was joined in his family by his brothers, Ignacio and Elias, and his sisters, Antonia, Lydia, and Simona who passed away as a baby. Juan was very close to his family, particularly his sisters. His parents were both proud immigrants, and his father worked in a smelter plant. Sadly, his mother died when Juan was only five. From the time he was a young boy, Juan was diligent and hardworking. He attended local schools including Martin High School where he was a member of the chess club. He had a lifelong love for the game and frequently played with his neighbor. The two spent many afternoons battling over the chess board. Juan also played in many tournaments while growing up. Juan helped his father in the smelter plant looking for antimony pieces, and he also had a summer job driving jeeps from Texas to Colorado. He performed manual labor while there, but he really enjoyed it. Juan also worked at El Chico’s where he learned how to make the best chicken enchiladas. He also learned how to provide very attentive service to his customers. 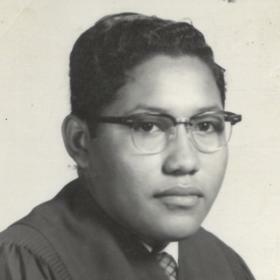 After graduating from high school in 1959, Juan attended Laredo Junior College before transferring to the University of Texas at Austin, majoring in microbiology. In 1964, Juan moved to Kalamazoo, Michigan where he spent the majority of his life. He moved there to complete an internship at Borgess Hospital. This proved to be quite fateful as it was there that he met his former wife, Eileen (Dado) Herrera-Mudry. 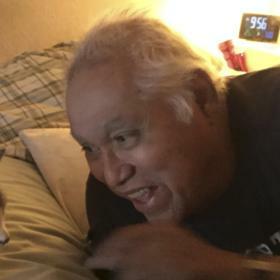 They moved back to San Antonio where Juan entered the Air Force and served at Wolford Hall Hospital, Lackland Air Base, as a microbiologist during the Vietnam War. With his military duties fulfilled, Juan worked in the laboratory at Memorial Hospital while he and Eileen raised their young daughter Karen. In 1972 the young family moved back to Michigan where they welcomed two sons, Juan T. in 1972 and Jose “Joe” in 1974 into their hearts and home. Although Juan and Eileen later divorced, he was always so grateful for the children they shared. Throughout his life Juan was known for his strong work ethic and attention to detail. He made his career as a microbiologist, primarily working in virology. Juan took tremendous pride in his profession and worked in this position at several hospitals including Community Hospital in Battle Creek, the Veterans Administration Hospitals in Battle Creek and Roseburg, Oregon, and the Kalamazoo County Health Department. Juan also completed advanced training at Mayo Clinic and other institutions. Eventually, he became the Lab Supervisor of Microbiology. He also earned two Masters of Arts degrees as he found great joy in taking on new subjects. Juan dabbled in just about every scientific subject including entomology, astronomy, and botany, and because he enjoyed art and photography he took classes at the Kalamazoo Institute of Arts over the years. Juan also taught a language class through the adult education program at a community college. A man of many interests, Juan was rarely one to be still. He loved his pets including his treasured cat, Poco, who brought him such comfort in his final days. Juan perfected the art of the road trip and always had bags of specially prepared trail mix along for the ride. He enjoyed trips to Northern Michigan and Las Vegas as he loved both the natural beauty of being outdoors as well as games of chance like those at the casinos. He shared his love of nature with his kids who accompanied him on many butterfly hunts and fishing expeditions, just for the adventure of it all. For much of his life Juan would have preferred to spend the day outside rather than in the city. Over the years he took his children to Wyoming, Yankee Springs, and local lakes when they were young. Juan also took his boat to just about every local lake fishing, and many weekends were spent at Gun Lake, Sherman Lake, and the Allegan Dam where he fished for salmon, or at least he tried to. Juan liked going to Pow Wows and visiting Native Tribes as he developed a deep appreciation for Native American cultures. After developing a love for the Pacific Northwest, he moved to Oregon where he enjoyed hiking and photography while also working at the VA there. Juan’s favorite places were Mt. Hood and Coos Bay. He was a lifelong Longhorns fan, and there was a friendly family rivalry with certain Aggies including his brother, Elias, among others. All who knew Juan Herrera would agree that there was no one quite like him. He had a positive outlook amidst the storms he faced, and by his example he demonstrated what it means to trust in God’s plan. Someone who never complained, Juan’s faith and the love of his family carried him and brought him immeasurable joy. Kind, giving, and selfless, he will be forever be missed. 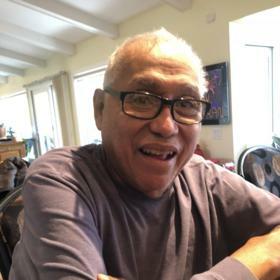 Juan Herrera, Jr., of Kalamazoo, died peacefully on January 21, 2019 at his home. Juan’s family includes his former wife, Eileen (Paul) Mudry; 3 children: Karen (Larry) Wile, Juan T., and Jose Herrera; grandchildren: Natalia, Jenner (Emily), Loran, Austin, Grace, Thomas, and Gabe; 2 sisters: Lydia and Antonia Herrera; sister-in-law: Olga, and many beloved nieces and nephews. 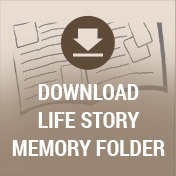 Juan was preceded in death by his parents; 2 brothers: Ignacio and Elias; 1 sister: Simona. Visit with family and friends on Sunday (JAN 27) from 5 - 7 p.m. at Betzler Life Story Funeral Home, 6080 Stadium Dr. Kalamazoo (269) 375-2900. The Rosary will be recited at 7 p.m. Mass of Christian Burial will be celebrated at St. Ambrose Catholic Church, 1628 East G Ave, Parchment on Monday (JAN 28) at 11AM. A luncheon will follow in the church hall. Burial will then take place at Fort Custer National Cemetery. 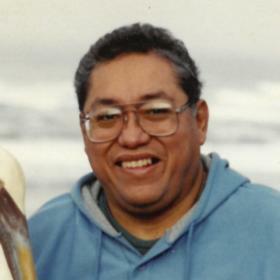 Please visit Juan’s personal web page at www.betzlerfuneralhome.com, where you can archive a favorite memory or photo and sign his online guestbook before coming to the funeral home. Memorial contributions may be made to St. Jude Children’s Research Hospital or the National Audubon Society.